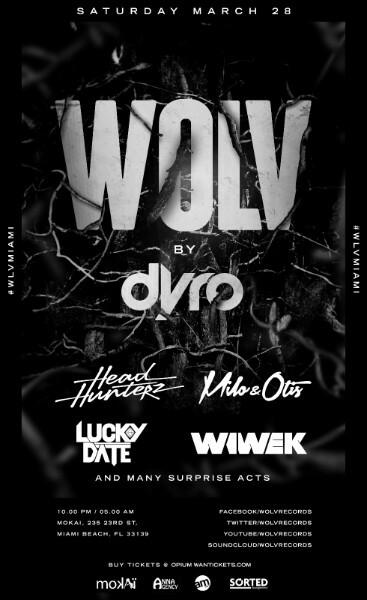 Wolv records hosts its first label night during the Miami Music Meek on Saturday, 28 March. With a lineup featuring Headhunterz, Milo&Otis, Wiwek, Lucky Date and Dyro himself, and with more guests set to be announced closer to the night, this should be a popular night for the label. Dyro has spent the past 12 months playing around the world, releasing various tracks and launching his Wolv label, which he’s been instrumental in since its evolution. A studio obsessive, he has arguably proven himself to be a talented A&R man, bringing through a handful of new artists through his imprint. 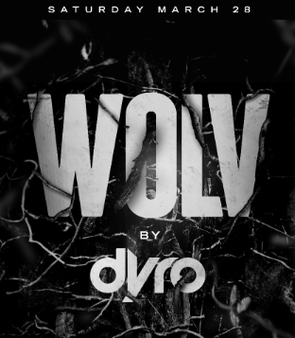 Taking over Mokai, the Miami beachfront club for one night only, Wolv By Dyro will see clubbers hit with seven hours of electronic music, coming from some of the label’s artists. To celebrate this, the first 100 guests through the door will receive exclusive Wolv merchandise.